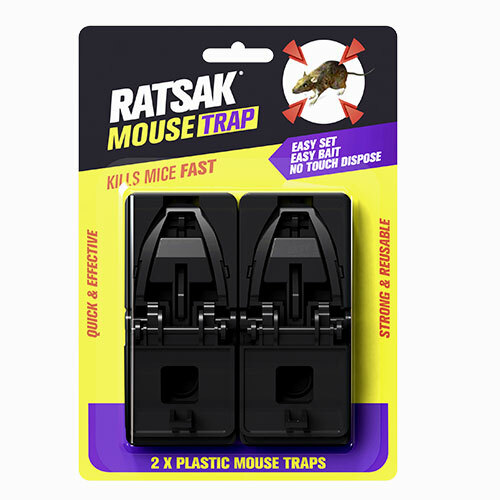 Is an innovative and unique designed mouse trap, which kills mice quickly and effectively. 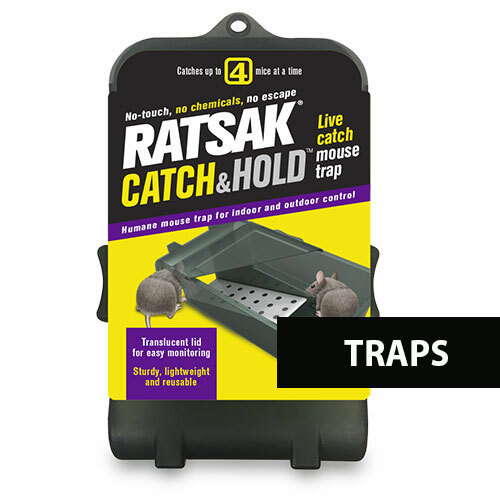 It is easy to use, ‘one click’ trap set for easy set up, and a bait trough for easy baiting. This trap is not pre-baited. Unique design made from plastic. It is strong, durable and the traps are reusable. Innovative design to easily bait and set. No snapping while setting. Easy disposal of dead mice with the press of a lever. Apply bait using a cotton bud, toothpick or other tool to mask your scent. 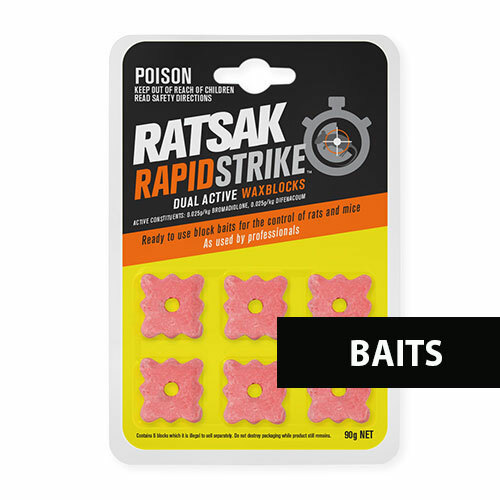 Use peanut butter, hazelnut spread or RATSAK® Attractant as bait. Place 2 traps 2-3 metres apart where mice are evident. Leave the traps for 48 hours to avoid trap shyness. Move the traps to a new location after 48 hours if mice are still present. Dispose of dead mice by wrapping in paper, placing in plastic bag and then in garbage. Mask your scent when applying bait by using a cotton bud, toothpick or other tools. 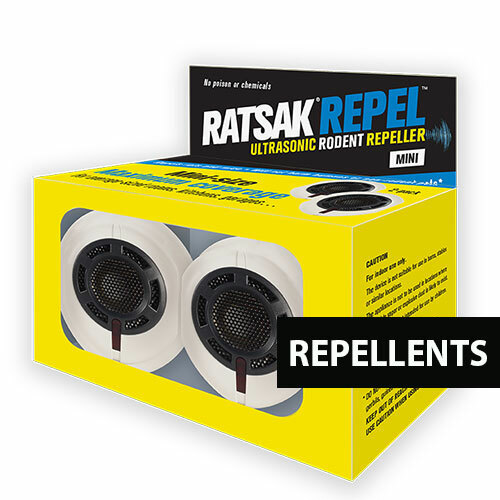 Repair holes, cracks and crevices that encourage mice to enter the building. 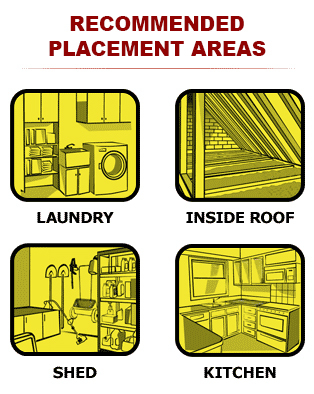 Place traps in locations which are inaccessible and out of reach to children, pets, other animals and birds.